This time the Viking is back from scouting out a brand new casino. As you can imagine he was shocked to find out there is a new arrival this late in 2018. Never the less he set sail to find out all he could about this newcomer called Casiplay. The first thing he found out was that this new online casino will support mobile devices. You will also be happy to read that this new casino is licensed by both the Malta Gaming Authority and the UK Gambling Commission. This means that the casino can be accessed by countries like the UK, Canada, Austria, Finland, Germany, Norway, Ireland, Netherlands, Sweden and comes in five different languages. The first thing worth mentioning about Casiplay’s bonuses is that they will most likely change. This is down to the fact that it is a new casino that will evolve over time to make itself better. At the time of writing this, they were offering a welcome bonus of free spins and an added percentage of bonus funds based on your initial deposit. Thereafter they offer users bonus funds and more free spins on their next couple of deposits. 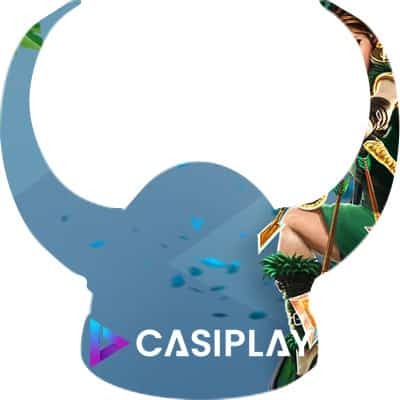 Casiplay also offers players a chance to join their VIP Club. This comes with bonuses to the users based on what rank they are. The ranks go from Bronze to Prestige which is the highest rank you can achieve at this time. At the time of writing this review, Casiplay already claims to have more than 400+ slots. All of these are from some of the top developers like Netent, Microgaming, NYX, Play’N Go, Nextgen Gaming, Quickfire, WMS, and Quickspin. With these developers, you can rest assured you will find all your favorite games. As well as the very latest releases at this casino. As with all modern and top online casinos, Casiply also supports live casino games. Casiplay has a range of payment providers to make sure they can accommodate as many players as possible. This means you will find providers likes of Ukash, Skrill, Skrill 1-Tap, VISA, MasterCard, Entropay, Payr, Wire Transfer, Paysafecard, iDeal and more. Remember you should always read the terms and conditions before making any transactions. You will be glad to read that all their support options come in EN, FN, NO, DE & SE. The support options available at this time are a Live Chat, Email, and Phone. For further information, you can check out Casipays contact us page. Overall Casiplay will become not only a great online casino but one of the best casinos out there. The casino has a sleek design that is user-friendly. Combine this with the fact that it can be played on mobile devices and you have a recipe for success. The Viking feels this casino will make a great and lasting impression on both new and veteran online casino users. So why not follow the CasinoViking and see what all the fuss is about. Just click on the link above and sail there now.